Tea is a favorite beverage at our house and we love it when we can brew it in a pot, where the tea leaves have room to expand and give full flavor to the finished product. Trouble is, tea in a pot cools down and by the time I'm ready for cup #2, the tea pot has cooled down! Except when I use a tea cozy. 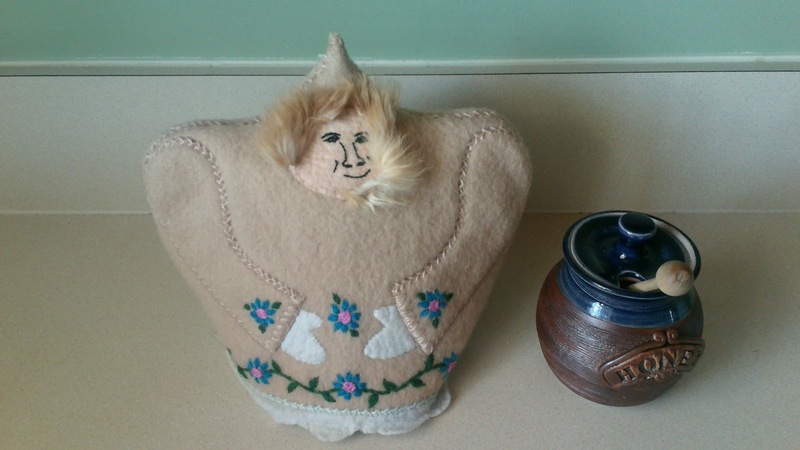 My go-to tea cozy is one that I have from northern Canada made from heavy wool duffle fabric. I've had it for close to 20 years, so it's showing a little wear and tear! With a little bit of hand embroidery, I've been making some patchwork quilted tea cozies that I love! 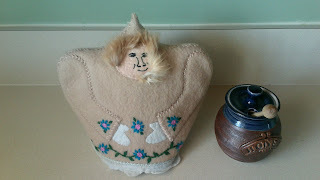 If you are a tea lover like me and don't have a tea cozy yet, isn't it time to get one for yourself? Or would you like to see a tutorial on how to make one for yourself? Way back in January I posted a list of Unfinished Objects (UFO's) that were awaiting completion in my sewing room. 12/17 done! Not too bad! Here are some pictures of the finished products! There were many more quilts made throughout 2017 - it was a productive year as I've got more energy than I've had for a long time! I don't seem to have a photo of the Christmas Sampler Quilt, but I'll get one done as soon as I have someone to hold it up for me outside where the light is good, so watch for that to come soon! And that leaves me with 4 quilts to carry over to my new list for 2018 as I missed the due date for the Proverbs Challenge quilt for my guild! Proverbs Challenge Quilt - missed due date!